Here's a high-end multi-purpose tool that's a fashion statement as well. 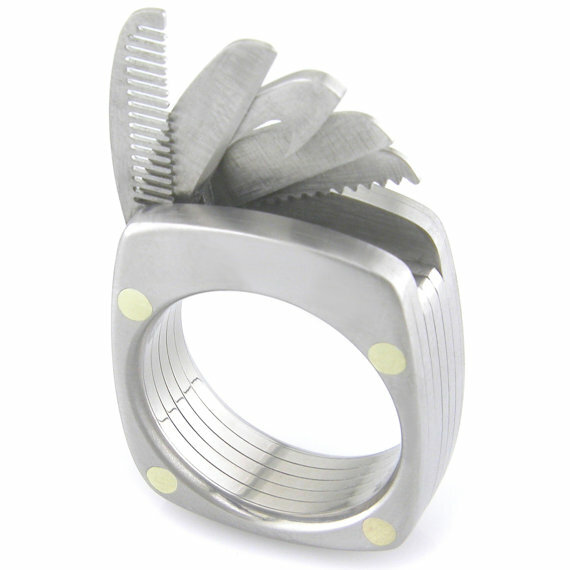 The Titanium Utility Ring features a bottle opener, a straight blade, a serrated blade, a saw, and even a comb. I wonder if the security theatre team at the airport would catch this. At $385 I'm afraid I won't be testing it out anytime soon. You can order your custom sized ring at Etsy.